Hey there! Okay, so I’ve been busy working on issue #11 and can happily say that the first six pages are now complete which puts me way ahead of schedule! Result! Not much else to report but I do want to show you a photo of a little purchase I made when doing some touristy things in London last week. 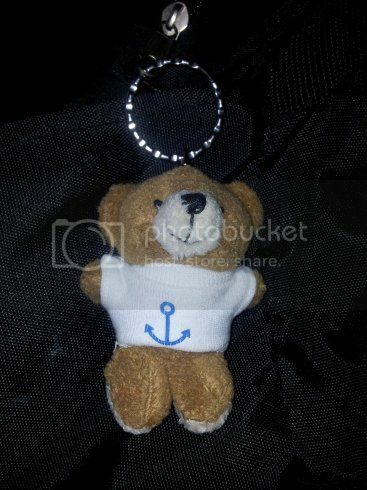 After a great walk round the HMS Belfast I stopped by their gift shop (I love gift shops – it’s like the perfect ending to some sight seeing) and bought this little guy to attach to my bag! What do you think? Had to be done didn’t it? I’ll be back soon to let you know how I’m getting on with the prints! Speak to you soon!